FRESNO, Calif. -- Authorities say cough syrup led to a shooting in Central Fresno. It happened on Wednesday near Millbrook and Shields avenues. Three people told Fresno police they were shot at. They were not struck, but a bullet did hit their vehicle. The three people told investigators they had a disagreement with the suspect in the past. Detectives arrested Manjot Singh at his auto smog business in Clovis. 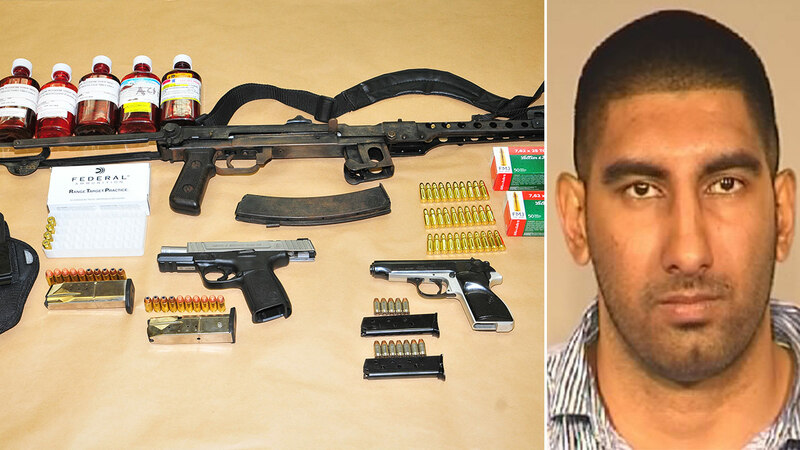 They obtained search warrants for his business, home and vehicle and found an illegal assault weapon, two handguns, ammunition and five bottles of cough syrup. Officers say Singh admitted to the shooting and told them it was because of a fight over the sale of promethazine cough syrup, which is an increasingly popular street drug. Each bottle has a street value of $300 to $600. Singh was booked into the Fresno County Jail on assault with a deadly weapon and weapons charges.